Here is something that cought my attention while out for a walk today. I saw this tree growing on an irrigation bridge. I took pictures from both sides so that you can see that it's not a illusion.The other tree on the right is growing on the side of the Edinburg Canal. The tree in the center is the one growing on the bridge. 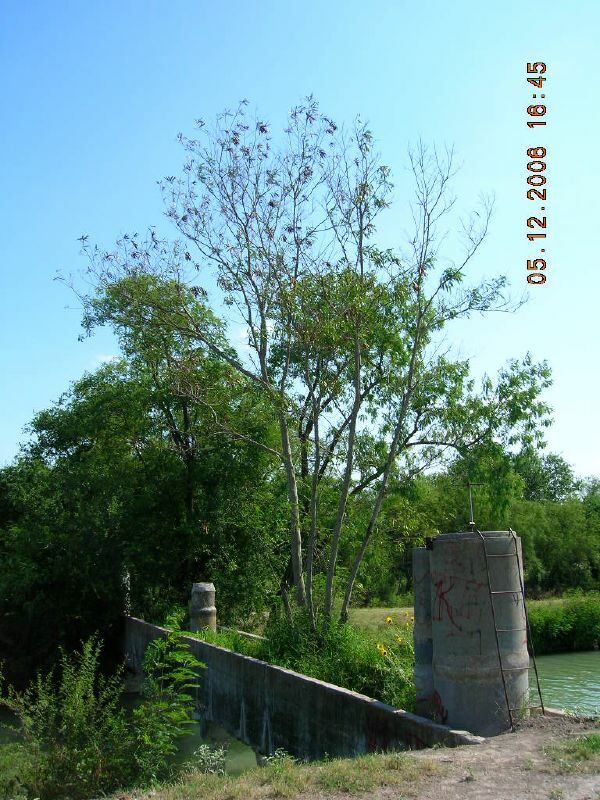 I'm sure the tree gets its water from the irrigation pipe that crosses the canal through this bridge. You can hear water flowing inside the pipe as you walk by. I remember as a kid, my family would forbid us from playing around the pipes because we could fall in and drown. I'm sure there may have been such drownings. Some people have the good fortune of buying homes with irrigation pipes still in place. New subdivisions do not have irrigation pipes because the city buys the water rights for new subdivisions. This way they can take that water and use it for drinking. If cities don't do this, they would not be able to produce sufficient water to meet the needs of its citizens. Their allotment would run out. Properties with irrigation pipes are able to flood their lawns instead of turning on a sprinkler. It is much more economical to buy acre feet of water than gallons. 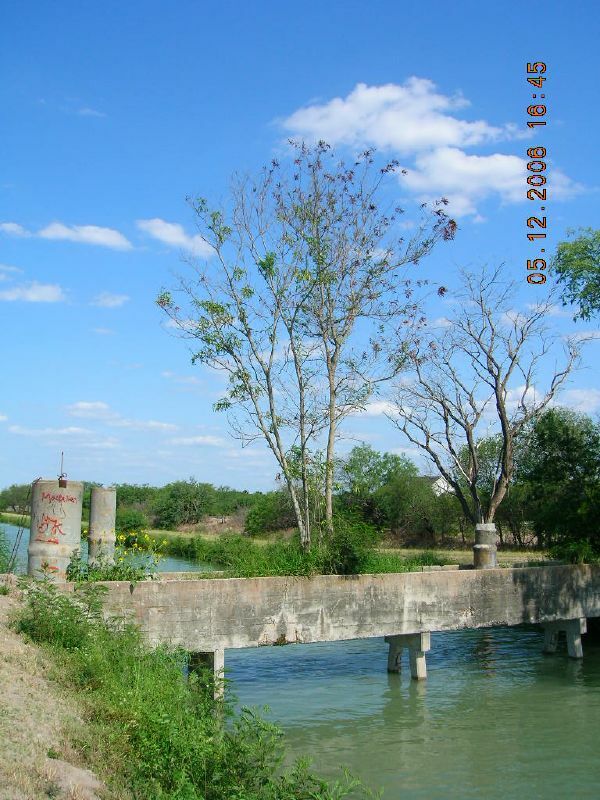 The water passing under the bridge seen here is the Edinburg Canal. This is Edinburg's drinking water before it is sanitized. The water is pumped out of the Rio Grande near Bentsen Park. For some territorial reason, the water used for irrigation is not mixed with the drinking water suppy despite coming from the same river. that photo of the tree is cool. its nice that you noticed that's very observant. Thanks. I had biked by there a few times before but didn't pay attention. It was obvious while I walked by. Thanks for reading RGV Life.